Either refers to any one of the two things or people. Either is always considered singular in a sentence. Either … or is a correlative conjunction. 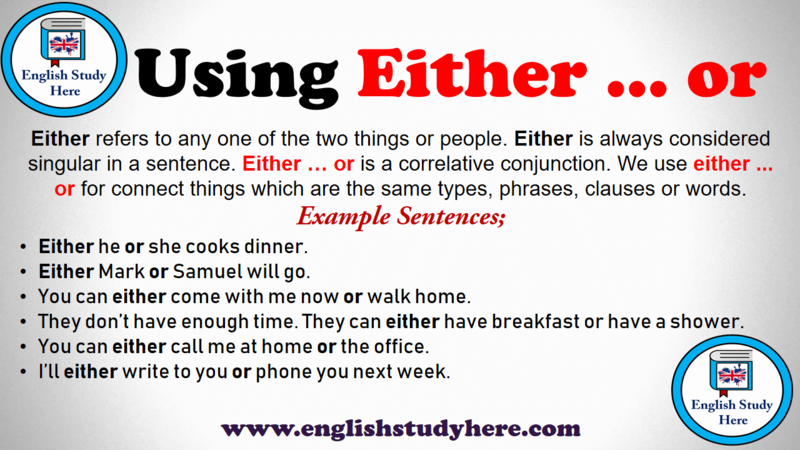 We use either … or for connect things which are the same types, phrases, clauses or words. Either Mark or Samuel will go. You can either come with me now or walk home. They don’t have enough time. They can either have breakfast or have a shower.